The New York Times reports that then Presidential candidate Donald Trump was refused a bank loan in 2016 following a vigorous internal debate within the bank’s highest ranks. According to The Times’ report, three people familiar with Trump’s loan request said the rejection came after much discussion from senior bank officials after believing that Trump’s utterly bombastic candidacy made the loan too high of a risk for the bank to take on. It seems the Trump Organization had been seeking to borrow against its Miami resort to pay for work on a golf property in Turnberry, Scotland. The Trump Organization is denying this ever happened. This story is absolutely false,” Ms. Miller said. “We bought Trump Turnberry without any financing and put tens of millions of dollars of our own money into the renovation, which began in 2014. At no time was any money needed to finance the purchase or the refurbishment of Trump Turnberry. This bombshell reveal only further complicates Trump’s longstanding relationship with Deutsche Bank. For years, big banks have refused to lend to him, reportedly calling him “the Donald risk” to refer to his perpetual bankruptcies and failures to repay loans. 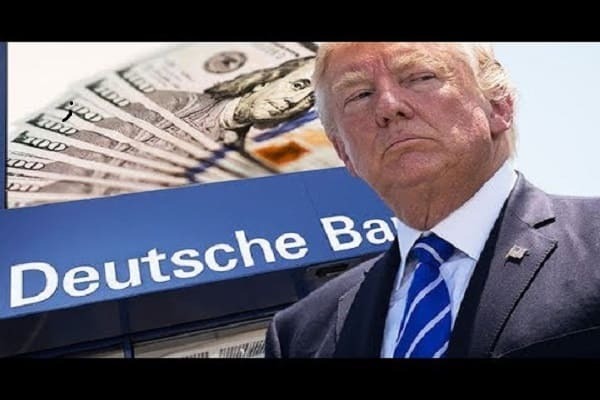 However, Deutsche Bank, whose real-estate division continued to lend him hundreds of millions of dollars to finance his projects, seemed perfectly fine with lending him money for real estate projects. It should also be noted that German police raided Deutsche Bank offices back in November for laundering money for Russia, which apparently had nothing to do with President Trump.